2012 proved to be just as busy. The band sold out The Troubadour in Los Angeles and took up residencies at both The Cosmopolitan and Hard Rock Hotels in Las Vegas. Their first video “Nancy Lee,” filmed entirely with an iPhone, won at the Original iPhone Film Fest, not just taking the Music Video category, but the festival’s grand prize as well. In February, Google Music selected Vintage Trouble as the featured artist at Sundance where their live performance rocked the film community and they made their first appearance in Rolling Stone. Their too-brief Australian tour included the Sydney Festival and the Australian Film Awards and was met with such an overwhelming response that a return trip is guaranteed sooner rather than later. Vintage Trouble’s SXSW showcase in Austin was named “the fourth best live performance of the festival” by Paste Magazine (only behind The Jesus and Mary Chain, Jack White and Bruce Springsteen). In celebration of the official U.S. release of The Bomb Shelter Sessions, Best Buy also featured Vintage Trouble on their TV screens in stores nationwide. 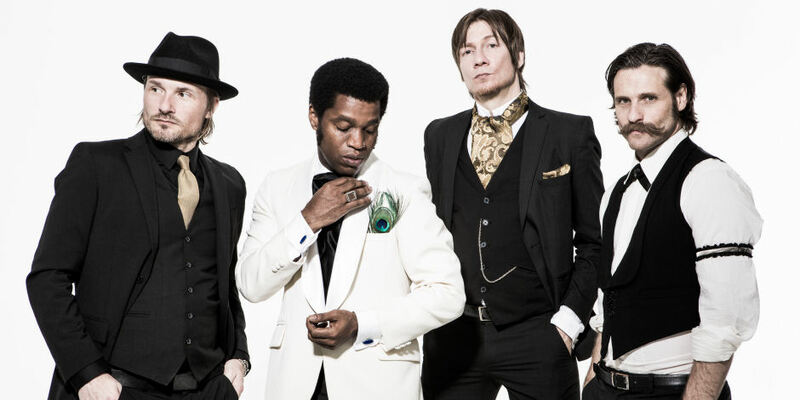 Vintage Trouble is currently on a world tour that has already seen them open for Lenny Kravitz, The Cranberries, Joss Stone and recently, The Who. Their world tour continues in 2013 with performances at Coachella, Glastonbury and Rock In Rio, a Japanese headlining run and The Who’s European Tour, along with a US headline tour in August.